I haven't read a good fantasy book in a while. In fact, I very well may say that I haven't read a good fantasy book since I read The Lord of the Rings. So I am in the market. 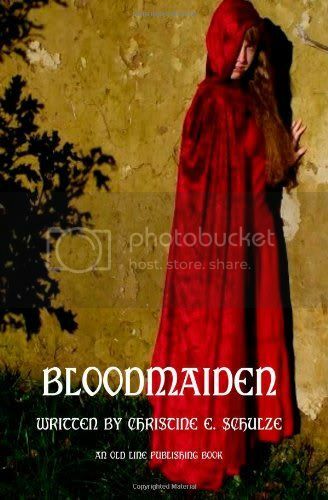 I stumbled into a description of Bloodmaiden and thought it sounded promising. Dragon and humans living in harmony with each other and something goes wrong and must be fixed. Sounds like the beginning of a great fantasy. So I started reading. My first shock was that the book was only 200 pages (in my eBook form at least). The first chapter or two was really gripping (though groan! first person storytelling). I was really interested in this world of virgin forced marriages and sacrifices. Let's learn more. But as I was itching to know more about the world I was only given confusion. Willing to be introduced gradually I read on. I love a plot driven book and this is certainly plot driven, but sadly I think it as the expense of the characters. I really wanted to know more about who these people I was reading about were. They were very flat and I honestly couldn't figure out why I should care what happened to them. I feel like the problem wasn't with a boring story, I actually liked the plot, but with how things were told to us. It would be like someone going up to someone who has never read Harry Potter and saying "He lives in the Muggle world and has the power to apparate" without ever explaining what Muggle or apparate mean. I really wanted to like it more than I did. I wanted to fall in love with these characters as it is clear the author has. She has made up a world that I would love to get to know, but it just felt like I wasn't allowed to be let in on the secret. Maybe it's just me. I'm giving it three stars though, because it was written well and the plot was interesting and unique. Plus dragons are cool. Dragons are cool! I like the cover, kind of spooky for this time of year. I havent really done any reading on ereaders yet.